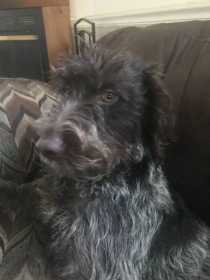 Trigger is long haired German pointer. He was neutered a week ago and a hernia fixed. Please help us find our baby.